"Ask what you wish for Me to give you." We see in our scripture reference how Solomon responded. Read 10-15 to see God’s response. It is worth your time. If God said the same thing to you this morning, what would you answer? I had to search my own heart for a response that would be pleasing to the Lord. This was told to them as they argued over who was greatest among themselves. As we approach the election of a president for this great nation, my prayer for our next president became Solomon’s wise prayer that pleased God, and it was granted. Please join me this morning in asking God this request for ourselves as individuals and for our next president. We are a people desperate to return to the ways of God which are so much higher than our own. 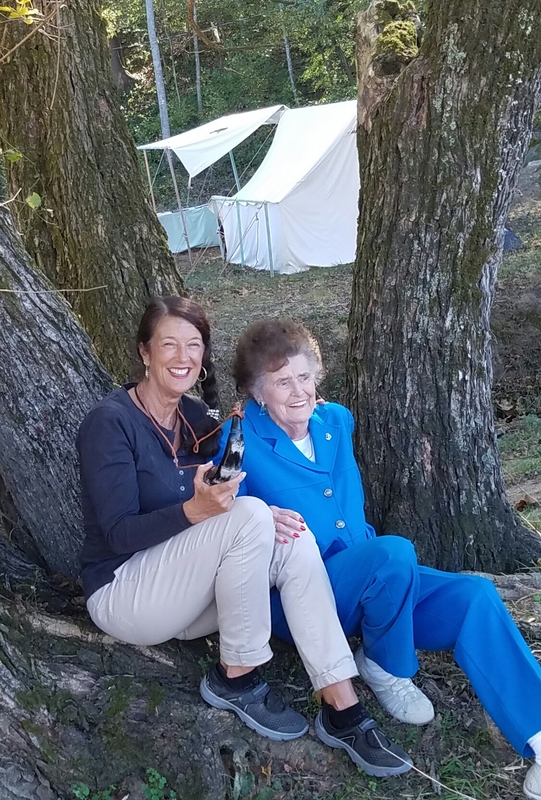 My Mom and myself taking a breather at the Southeastern Primitive Rendezvous in Yadkinville, NC. A fun afternoon!